Carter Blake is on another mission. His current job is to track down Scott Bryant. Bryant has stolen software in development for a company called Moonla. The President of the company, John Stafford wants returned. He also wants Bryant to serve major time in prison for the theft. 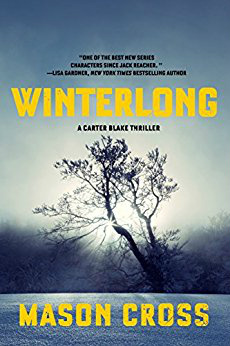 Blake easily tracks down Scott Bryant, but as he attempts to return him to California to face judgment, he is flagged at the Seattle Airport as a “no fly restriction.” The men from Winterlong have found him. In the ruckus that follows, the cab driver that Blake hired is shot dead. Fans of Jack Reacher and Jason Bourne will find this an exciting hurricane of thrills and intrigue. It is well written, polished, and in my opinion even better than the previous book, Samaritan! And it isn’t easy to top near perfection! Well done Mason Cross! Encore! I give this exciting novel five stars plus!